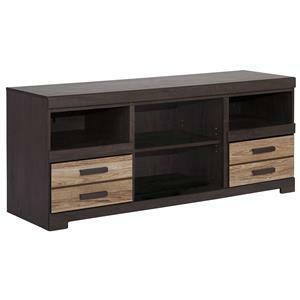 Bring fresh and modern appeal to your entertainment space with this TV stand, which features glass panel doors and glass shelving. The cottage white finish of this piece is sure to brighten up your room. The Skyline Contemporary 65" TV Console by Parker House at Beck's Furniture in the Sacramento, Rancho Cordova, Roseville, California area. Product availability may vary. Contact us for the most current availability on this product. 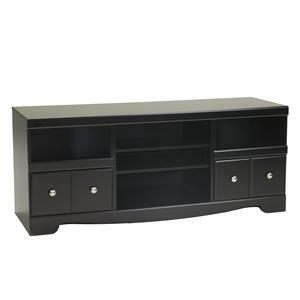 Your home deserves an entertainment space that everyone will love, and this collection will give you just that. From an abundance of storage and display options, to a fresh and modern look, these pieces are made to bring style and convenience to your home. The Skyline collection is a great option if you are looking for Contemporary furniture in the Sacramento, Rancho Cordova, Roseville, California area. Browse other items in the Skyline collection from Beck's Furniture in the Sacramento, Rancho Cordova, Roseville, California area.